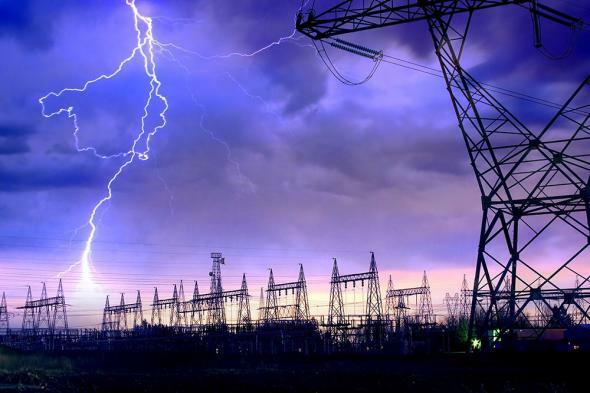 EMP threats: Could an electro-magnetic pulse weapon wipe out the power grid? Who’s Afraid of the Big Bad Pulse? Some in Congress and the private sector want to spend a lot of time—and money—preparing for the threat of electro magnetic pulse weapons. But is that the right priority? According to the Department of Energy, severe weather accounts for the majority of power outages. Update, Nov. 3, 2017: Sharon Burke addresses conspiracy theories about a “national power outage” and the danger of electro-magnetic pulse weapons. This piece was adapted from an article that originally appeared in the SAIS Review of International Affairs. That fearsome weapon? An electromagnetic pulse. Pry, executive director of the EMP Task Force on National and Homeland Security, a congressional advisory board, described a scenario in which an adversary could detonate a nuclear device in the atmosphere over the United States, which would in turn generate an EMP that would cause catastrophic damage to the nation’s electricity grid, resulting in long-term, national power outages. It is, indeed, a frightening scenario—and it isn’t the only threat to the nation’s electricity grid. U.S. critical infrastructure is also vulnerable to cyber and physical attacks. The risk of such attacks is real, and, in some cases, growing. But don’t run out and stock your bomb shelter with whale oil just yet. In fact, odds are you have far more to fear from nut-obsessed squirrels than nutty extremists when it comes to the reliability of your electricity. So, how worried should Americans be about such attacks? As with most things, it depends—specifically, it depends on the threat. First, there’s Pry’s scenario. An EMP attack resulting from a high-altitude nuclear detonation seems a possible but not very plausible scenario. An adversary looking to carry out such an attack on the United States would need ballistic missiles and nuclear weapons. The missiles either need to be capable of an intercontinental launch or have a platform that can both move within range of the U.S. homeland undetected and launch a missile. There are actors that either have or are seeking to acquire the capability to launch such a weapon (for instance, North Korea), but it is important to consider this threat in the context of the likelihood of an attack. The consequences of launching a nuclear strike on the United States would be severe, to say the least, so the motives of a potential adversary would be a key question. Moreover, if an adversary did want to start World War III and was not deterred by the formidable U.S. capability to respond to such an attack, the grid might not be the best target. It is not a certainty that such a detonation would cause a prolonged, widespread, and devastating power outage; indeed, some manufacturers of industrial control systems and transformers report that their equipment has been tested and proven robust to such an electromagnetic pulse. Nor is it clear that the electric grid would be the ideal target for such weapons. And for that matter, there are other, easier ways to attack the grid. Frankly, the development of more discrete EMP weapons that can be used against specific military targets is probably more worrisome from a national security point of view. Second, there’s the possibility of a remote cyber attack, which is uncomfortably easy to carry out if the target is a website or business software. Those types of attacks can cause significant damage to a company or even a country, but are less likely to result in physical damage to equipment in the grid. In part, this is mechanical equipment that has been engineered to withstand physical challenges, partly just because of the inherent danger of dealing with high voltage electricity. Furthermore, although these systems do generally have communications links, they do not tend to be outward facing—in other words, they’re not connected to the Internet. It may be possible to breach these communications links into physical equipment, but it is not easy and often requires both knowledge of the system and physical access. Even Stuxnet, a very sophisticated computer worm, required someone at the Iranian facility to plug in an infected flash drive, according to Symantec. If neither EMPs nor cyber weapons are the clear and present danger for the electric grid, who or what is the biggest threat? National outage reporting data suggests that enemy No. 1 is Mother Nature. According to the Department of Energy, severe weather accounts for the majority of outages; in 2014 there were 87 outages resulting from weather-related issues. Most of these hazards are what the national security world calls “low-consequence, high-probability” events, meaning that they occur frequently but generally cause little damage on a case-by-case basis. The effects tend to be fairly short in duration and limited in the number of customers affected. A number of weather events in recent years—hurricanes in the Gulf of Mexico, storms on the eastern seaboard, tornadoes in the Midwest and Southwest, and wildfires in the West and Southwest—have caused higher-consequence electricity outage events. While such high-consequence weather events—in terms of lives lost, economic costs, and duration—may not be as frequent, they are not unheard of, either. In 2012, for example, Superstorm Sandy resulted in more than $50 billion in damage, 147 deaths, and knocked out power to more than 8 million people—in a few cases, for months. Moreover, given the changing climate, such severe weather events are expected to increase—indeed, 10 of the most destructive hurricanes on record occurred in the last 10 years. A November 2014 Intergovernmental Panel on Climate Change report confirmed that effects from climate change have been rising since the 1950s and are being observed worldwide. In addition to the direct effects of climate change, such as severe storms, secondary effects could have an impact on the electric grid, such as major droughts that may affect the availability of water for thermal power plants. Further, the report noted that climate change-related weather disasters will disproportionately affect the poor; this is especially true in countries with immature energy infrastructure where natural hazards are already causing multiday outages to an already unreliable power supply. Countries that are at a higher risk for climate change damage are often those with insecure energy infrastructure, which means that when additional and more severe weather events occur in these countries, the results are likely to be more catastrophic and long-lasting. A different kind of weather, space weather, also gets some attention as a hazard to the grid. Geomagnetic events have the potential to be high consequence, and although the last major event occurred in 1921, such flare-ups could happen at any time. In 1989, for example, 6 million residents of Quebec lost power for nine hours following a geomagnetic disturbance from a solar storm. The Federal Energy Regulation Commission recently released new reliability standards to address this risk. Weather is not the only natural hazard, either: Last year, a flock of renegade parrots reportedly caused a power outage for thousands of Californians, though squirrels are the more frequent cause of animal outages. These occurrences tend to be inherently low-consequence. Human beings also cause many outages, from car accidents that take down utility poles to deliberate acts of sabotage. Most of these incidents are either low-consequence vandalism or not deliberate, according to DOE annual reporting. In 2014, for example, a Google Loon balloon fell off course, crashing into power lines and causing a five-hour power outage for some households in Lower Yakima Valley, Washington. Not all human-induced outages are mistakes, and there is potential for high-consequence events. In April 2013, one or more gunmen attacked Pacific Gas and Electric’s Metcalf transmission substation near San Jose, California. The assailants cut communications links around the substation and fired more than 100 rounds from a high-powered rifle, damaging 17 transformers. Remote operators were able to detect the leak and shut the transformers down before there was long-term damage to the transformers or a power loss to Pacific Gas and Electric customers, but it was a near miss. The Federal Bureau of Investigation is still investigating the incident. This is all very worrisome, but it would frankly be prohibitively expensive to make the grid robust to every possible threat. Nonetheless, making the electric grid more reliable and more resilient to natural hazards would be an important first step. Indeed, such challenges are increasing in frequency and severity due to climate change, aging infrastructure, and a changing supply and demand landscape, a case that is made convincingly in the Obama administration’s new Quadrennial Energy Review. After all, if the grid is not robust to natural hazards then it is not robust to the more exotic events that have a low risk of happening in any given year. Mundane resilience to Mother Nature is the first line of defense for the electric grid. It Hit 103 Degrees in Paris This Week. Climate Change Will Just Make Heat Waves Worse.